Paper pallets, including corrugated cardboard pallets and honeycomb, are valued for a number of attributes, including ISPM-15 compliance, sanitation, their light weight and ease of recycling. Because they are so easily recycled, they provide an alternative to reusable pallets where reverse logistics is a challenge. 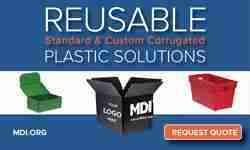 They are great for one-way shipping applications and they can be easily customized to a variety of footprint sizes. A vendor list is provided below. Although many of the listed companies have been in business for many years and have a solid reputation in the marketplace, any inclusion on this list does not constitute an endorsement from PackagingRevolution.net. Buyers are urged to always undertake due diligence prior to any purchase. Should your company be included on this list? 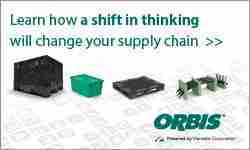 Contact rick@packagingrevolution.net to find out more. Litco International. Ph. 800-236-1903. Litco focuses on product protection and damage prevention during all phases of product shipment both domestically and shipments abroad. 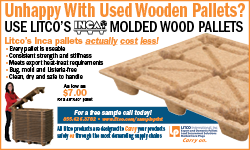 Its export-friendly pallets include the Inca(R) molded wood pallet, as well as corrugated cardboard pallets. Hurst Manufacturing. Ph. 309 738-0461. 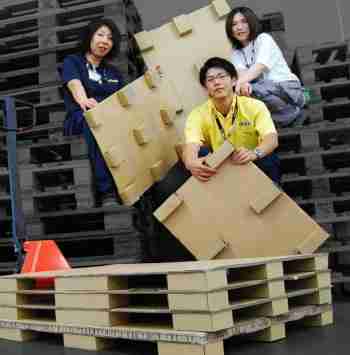 IKEA’s transformation to paper pallets caught the attention of the pallet sector. Eltete supplies paper pallet manufacturing lines for the on-site production of paper pallets. thank you for sharing paper Pallet ,it’s a great thing i read the history and it so interesting and awesome. Good start! There many more carton pallet producers, especially in China and India. IP3 Concept is a real new player in the sector of cardboard blocks for pallet and cardboard pallet globally. Currently we are looking for dealers across industry and world. At your disposal to discuss. Jacques LE MONNIER, Sales Manager IP3 Concept.